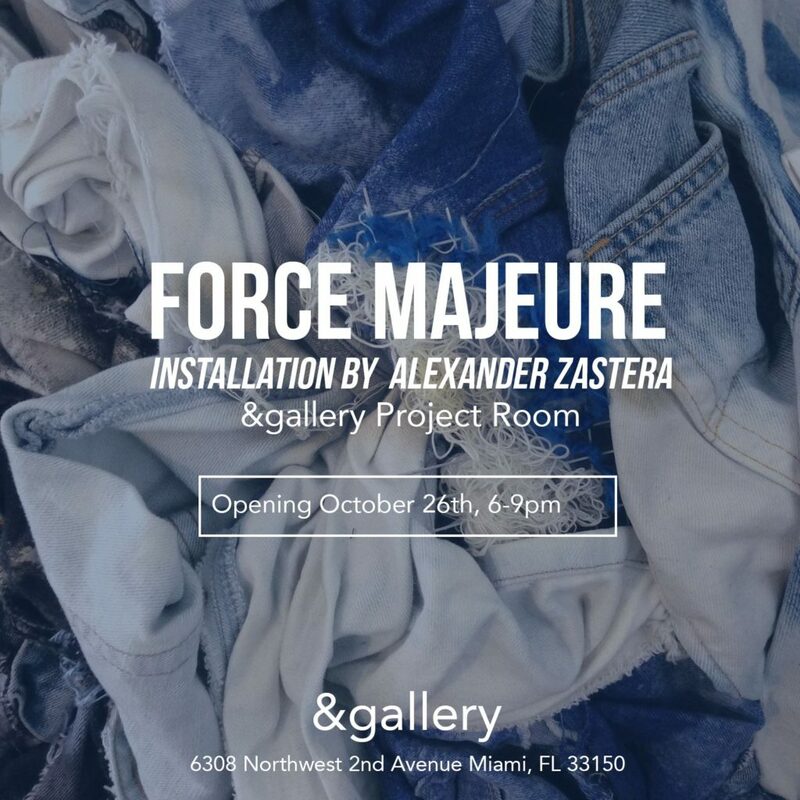 BFA ’14 Alexander Zastera is releasing FORCE MAJUERE, an extensive work exploring hurricanes and the forces around them. “Climate is seemingly no longer a science, becoming a vehicle for forecasting false trajectories. Weather patterns reveal a climate of denial. Rising temperatures will lead to more intense systems. Alexander Zastera produces swirling masses of denim, dark urban landscapes, and tropical grotesquery that comments on the socio-political climate and environment with a Floridian flair. Born in Jacksonville, Florida, he studied in Tallahassee at Florida State University earning a BFA in Studio Art. Seasoned in Miami, his work has been shown in galleries, museums, and art fairs including & Gallery, Locust Projects, the Young Arts Gallery, the FSU MoFA, and Superfine! Art Fair. His studio and community work have been featured In the Miami Herald, Biscayne Times, and Foul South Magazine.